Come watch your fellow Emmanuel students strut their stuff for a great cause! 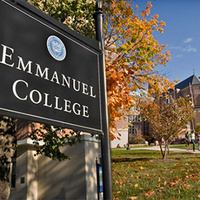 At the Her Campus at Emmanuel fashion show, student models will be sporting designs from local students and businesses, fall outerwear essentials and some of their own favorite looks from their closets! There will be Georgetown cupcakes and raffles with proceeds that go to Strong Women, Strong Girls, an organization that empower girls with college mentors who are themselves mentored by professional women. We hope to see you there! This is not a long procedure to maintain the add printer wizard windows 10 http://addprinterwindows10.com it only take your minimum minutes which is very effective when we give the connectivity of adding printer windows 10.